1 in 4 children from low socio-economic backgrounds start school unprepared with the basic literacy skills to succeed. (AEDI Index 2009.) Research shows that the experiences of children’s early years can have strong effects on their future, with implications for their health, development and ability to earn. The quality of an individual’s education has a profound and lasting impact on the person’s ability to succeed in the world. United Way provides leadership in early childhood learning, quality child care and school readiness. We help deliver a program that embed greater social cohesion in disadvantaged communities by engaging mothers/fathers and carers who are socially isolated and where positive parenting skills may be lacking. The United We Read program seeks to improve the pre-literacy skills of children 0 to 5 years old in the most disadvantaged communities to help prepare them for starting school. United We Read uses the Australian Early Development Census (AEDC) results to target the areas with the highest percentage of children with developmental vulnerability in the domain of language and cognitive skills. The United We Read program is in the Elizabeth Downs (since 2014) and Elizabeth Park/Elizabeth (since 2015) communities as these suburbs had developmental vulnerability three times higher than the Australian average in the domain of language and cognitive skills within the 2012 AEDC. The AEDC results showed that in the City of Playford LGA overall the percentage of children who were developmentally vulnerability (13.7%) was twice the national average (6.8%). • One new free age appropriate book, every month from birth to five years of age, delivered to the child’s home in partnership with the Dolly Parton Imagination Library and Penguin Books Australia. • Resources, opportunities and support to parents/carers of children to enable them to be effective as their child’s first educator. • Community engagement and awareness through local activities and events, including Read Aloud events, to promote the program, promote reading, and encourage volunteering and giving. 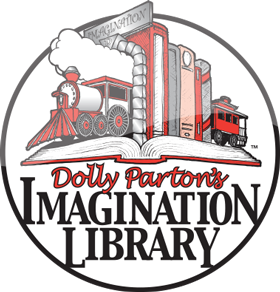 With research showing that the more books in the home, the better the educational outcomes for children, Dolly Parton’s Imagination Library provides monthly books home-delivered for children from birth to age five. Since 1996, more than 100 million books have been distributed to over 950,000 children across the US, Canada and the UK. In Australia, more than 90,000 books have so far been delivered to over 6300 children across 37 communities. Dolly Parton’s Imagination Library can easily be facilitated, via United Way Australia, to support existing community efforts to improve early developmental outcomes. In South Australia over 14,000 books have been delivered.